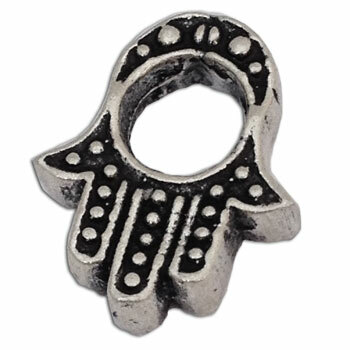 BD359 The ever protecting hand of Fatima or Hamsa hand made into a nice bead with a 4.5 mm opening. Hamsa is an important symbol in many religions and represents a protecting hand of god. The 4.5 mm size is compatible with 3 mm chain bead charm jewellery systems (like Pandora and Troll).